Canine Companions Canine Companions for Independence is a non-profit organization that enhances the lives of people with disabilities by providing highly-trained assistance dogs and ongoing support to ensure quality partnerships. Canine Partners for Life Canine Partners For Life (CPL) trains and places assistance dogs with individuals with mobility impairments to help increase their independence and quality of life. Paws with a Cause trains Assistance Dogs nationally for people with disabilities and provides lifetime team support which encourages independence. 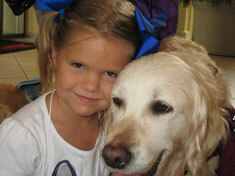 PAWS® promotes awareness through education. Therapy Dogs International a volunteer group organized to provide qualified handlers and their Therapy Dogs for visitations to institutions, facilities, and any other place where Therapy Dogs are needed. U. S. Department of Justice Regulations – Service Animals – Some State and local laws also define service animal more broadly than the ADA does. Information about such laws can be obtained from the State attorney general’s office.